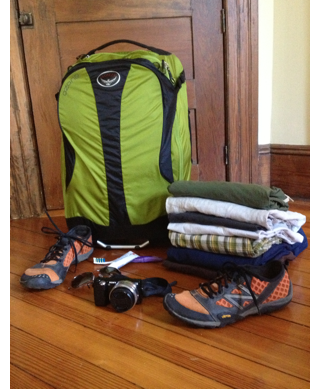 Many expert travelers — and those who fancy themselves as such — exalt the virtues of packing light. Yet few expert travelers — or those who fancy themselves as such — seem to care much about having a light pack. To Spot Cool Stuff, this is inexplicable. Your primary piece of luggage might be the heaviest single item you bring on your trip! 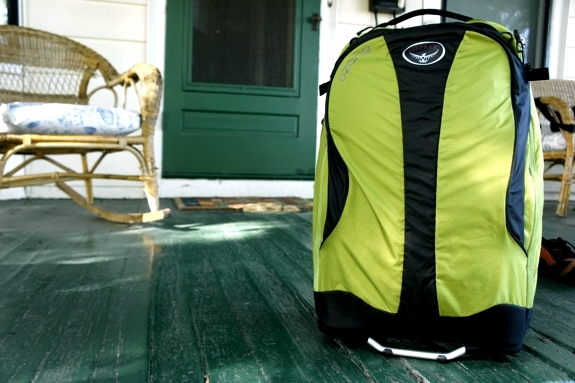 While we were working on our review of the best wheeled carry-on luggage, we couldn’t wait to write about one of the bags we’ve been trying out: the Osprey Ozone. That’s because, in addition to having several fine attributes, the Ozone has one superlative one — it’s extremely lightweight. We’ve been testing the 22″-size Ozone model (the maximum many airlines allow travelers to carry on). On our scale, it weighed in at a mere 1.841kg, or a smidgen more than 4 pounds. A typical bag of the same size and type — that is, a fabric carry-on with two wheels capable of standing up on its own — weighs between 7 and 9 pounds. The 22-inch version of the Travelpro Crew 8, for example, costs about the same as the Ospery Ozone 22 and weighs 8.7 pounds. Our Eagle Creek Tarmac 22 (more expensive than the Ozone but includes Eagle Creek’s Pack-It System) scales in at 3.86kg, or nearly 8.5 pounds. So let’s split the difference and use 8.6 pounds as the weight for an average wheeled 22″ carry-on bag. How does the weight difference between that and the Ozone translate into a real world benefit? If you took an Osprey Ozone and packed it with everything shown in the photo to the right, it would weigh the same as your typical wheeled 22″ carry-on that’s completely empty! That’s a huge amount of extra stuff you can pack with your weight savings! Though very light in weight, we like how the Ozone doesn’t feel flimsy or fragile. The bag doesn’t have a lot of frills — there’s no padded laptop compartment, for instance — but what it does have feels exceptionally well built. • Reinforcements at key wear points. 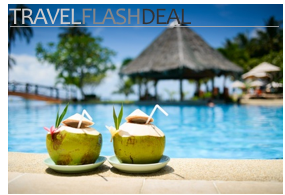 • Easy packing, a quality Spot Cool Stuff personally tested under the most grueling of circumstances. • Four internal pockets: a top one (great for toiletries), two front panel pockets (not super useful in our opinion but still nice to have) and a full-length rear panel (which we liked using for the above-mentioned Minimus shoes). • Internal compression straps and extendable ergonomic pull handle. • Built-in business card name tag holder, protected and covered at the rear of the bag. • The All Mighty Guarantee. The Ozone, as every Osprey bag, comes with a rather incredible warranty: if an Osprey bag is damaged at any time, for any reason, Osprey will repair or replace it free of charge! 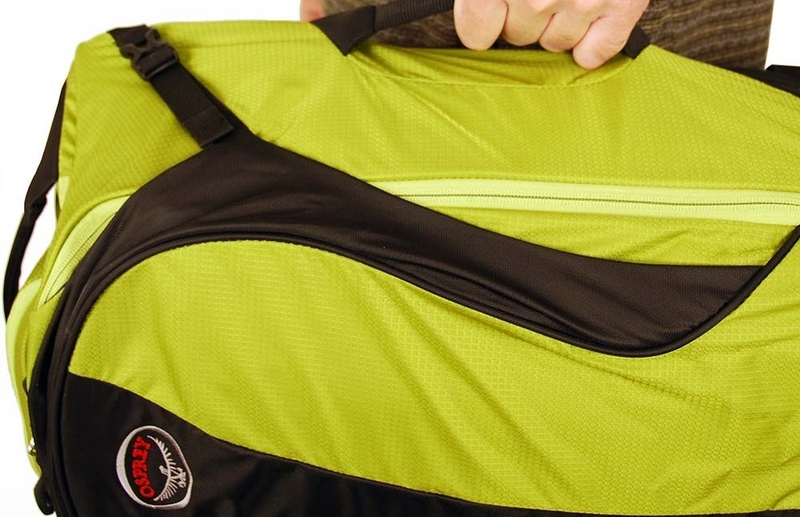 In the end, though, it is the ultra lightweight-iness of the bag that we appreciate most. True, getting an Osprey Ozone won’t, by itself, make you an expert traveler. But lifting an Ozone will sure make you feel like one. Is the back panel pocket deep enough to fit a laptop or does the carry on handle get in the way? Also, what are your experiences with the one column handle? In my experience this design can give an annoying tendency to tipping and pivoting. Other things that worry me about this design are the two front panel pockets….too thin for anything other than ties, socks, underwear etc. A single compartment would allow for shirts and be more practical. Is the single compartment attached at the back of the main flap separated from these two front panel pockets, or do they communicate? Finally, there are supposed to be 3 compression straps although I only see the two at the top corners. Those worry me for slowing things down at security checks, which is why I wonder if my laptop can fit in the back panel, as my toiletries can fit in the top pocket. If I could look at this bag in person I would but I am in Switzerland and its not here yet. I have about 3 or 4 Osprey backpacks and love them, so this piece is very interesting for me. Thanks for your review and if you can shed some light on my questions here, I’d be much obliged. We’re out of the office this week and, for this trip, we left our Ozone behind. Could you check back next week? We can get specific answers to your questions then. Alright, no worries. Safe trip and looking forward to your thoughts next week. Hey there SCS…you guys back from your trip now? Deadly curious about some more info on this bag – particularly whether I can get a laptop in the back panel pocket. How do you think the wheels would perform on uneven surfaces such as cobblestones? Though we haven’t tried cobblestones specifically, we have wheeled it down a walkway of stones placed in a yard. Based on that, we’d say that the Ozone does pretty well. For a carry-on, the wheels are pretty large. Also, they grooved, not smooth, so they have some grip to them. We’ll try to upload a close-up photo for you when we’re able. You may want to check with the airlines… This 28x14x14in bag doesn’t fit carryon specs as you state above. The Osprey 22inch does. Excellent eye, Bruce. We put the wrong number in the review. It’s now been corrected.